Here we are just a few days into October and I bet many of you are already sick of reading all the posts about pink this and pink that. (And by the way, I still love pink). Understandably, many bloggers are sick of it too. Many of us dread the month of pink and much of what comes with it. So far, I don’t, though I imagine this could and very possibly might change in a few more days. 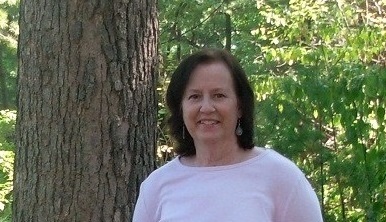 I try to embrace Pinktober, or rather the opportunity (not the shopping, or any of the other malarkey) that it brings. I try to look at the month as an opportunity to be a little louder, a little more opinionated, a little more of whatever I want to be. I remind myself of when I was teaching and I had to think of umpteen ways to reach kids. There are many kinds of learners and thankfully, many ways to teach stuff, though sometimes it is close to impossible to reach certain kids, or at least it feels that way sometimes. But you don’t give up. You keep trying to reach even that resistant or hard-to-reach-for-whatever-reason learner. You keep digging in your ‘bag of tricks’ until you find something that works or at least helps a little. The way I see it, every October is an opportunity to reach a few more people out there who might be willing to listen to more than media hype or cheering pink crowds. It’s hard sometimes to be heard over the pink parade rah-rahing. But I think more and more people are listening to the broader meaning of what true awareness is and is not. At least I hope so. So this October, too, those of us who are able and those of us who aren’t too weary, will keep ‘digging’. We will change our words around a little, or a lot. We will speak louder, or sometimes more quietly. We will listen and try to refrain from judging. Above all, we will be persistent and never give up. How many times do we have to keep repeating ourselves? How many different ways can we figure out to say some of this stuff? I say, as many times and as many ways as it takes. 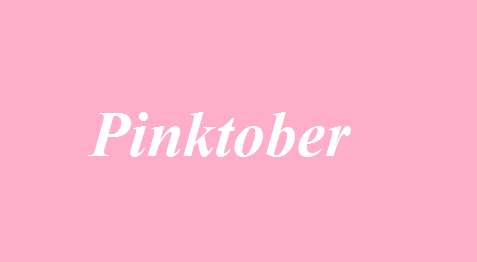 How do you feel about Pinktober? Are you weary or are you still ‘digging’? Catherine, Thank you so much. Betty, Yes, it’s time for more action and less focus on awareness, at least in this part of the world. I agree completely. Thank you for reading and commenting. I’m sick of all the pinkification of October, but am grateful that money is being raised for research, so I suppose I’m somewhere in the middle on this one. Sick of the pink ribbon products, but glad that the focus on raising money for research and finding a cure is elevated during this month. Claudia, The focus on the need for more research dollars, care disparity issues, greater awareness about mbc and other things isn’t focused enough, not even in October; but you’re right, it is at least elevated. At least I hope so. I want more money for research, and developing drugs for all of us who have this disease. I’ve heard that as little as 19% of the money raised goes for research. Who isn’t aware of breast cancer at this point? All the pink is tiring. Treatment, cures, and a future is what I want. Robin, I want those things too and I’ve heard the same about the low percentage of dollars going for research. So unacceptable when the real answers will only come through research. Thank you for reading and commenting. What’s been bothering me lately — and which caused me to rail against the pink party in a recent post — was that pink is not just for October anymore. It fills up September and months starting in spring. Ironically, for me, that helps me feel better about October — it’s not the singled out month anymore. One radio station in Chicago only focuses on the fact that it’s Domestic Violence Awareness month. I do think the hoopla has died down somewhat in October (it’s still bad), but I remember it being worse. So perhaps collective voices are being heard. Beth, You’re right about things spilling over into other months. There’s a huge event near where I live at the Mall of America every year, which I have blogged about at least twice… That’s remarkable that a local radio station focuses on Domestic Violence Awareness Month. Good for them. I was just thinking the other day that maybe I’m not seeing as much pink hoopla or pink stuff to buy this year, but then again, I haven’t been doing much shopping lately and we know the crazy crap is out there… Thank you for reading and sharing some thoughts. Should Universal Testing for BRCA1 & 2 Mutations Be an Option for All Women?